Like what you see on this website? Want to see more of what’s in Lone Warrior magazine? It’s easy. Become a subscriber. A one-year membership in the Solo Wargamers Association brings you four issues of Lone Warrior e-mailed to you as a PDF. Lone Warrior, the journal of the Solo Wargamers Association, focuses on solo gaming techniques and solo games. These are often embedded in skirmish, battle, or campaign narratives to demonstrate the workings of the solo ideas. Lone Warrior includes historical, fantasy, and Sci-Fi materials and welcomes new authors to contribute. 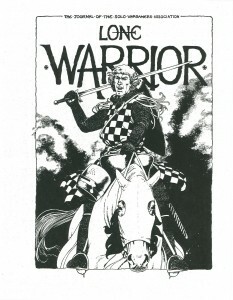 For nearly 40 years, Lone Warrior was published in hard copy. Today, the same solo-oriented material is published as a PDF and e-mailed directly to you. PDF provides an easy-to-read, on-screen format and also allows the use of color photos and other color images. The electronic version means that the journal is no longer limited by printing or mailing costs. The cost of annual membership (four issues of Lone Warrior) is US$15 for all subscribers. Please include your e-mail address in the text of your message. PayPal does not automatically include your e-mail address. SWA, 1707 Ridge Road, Leavenworth, KS 66048 USA. 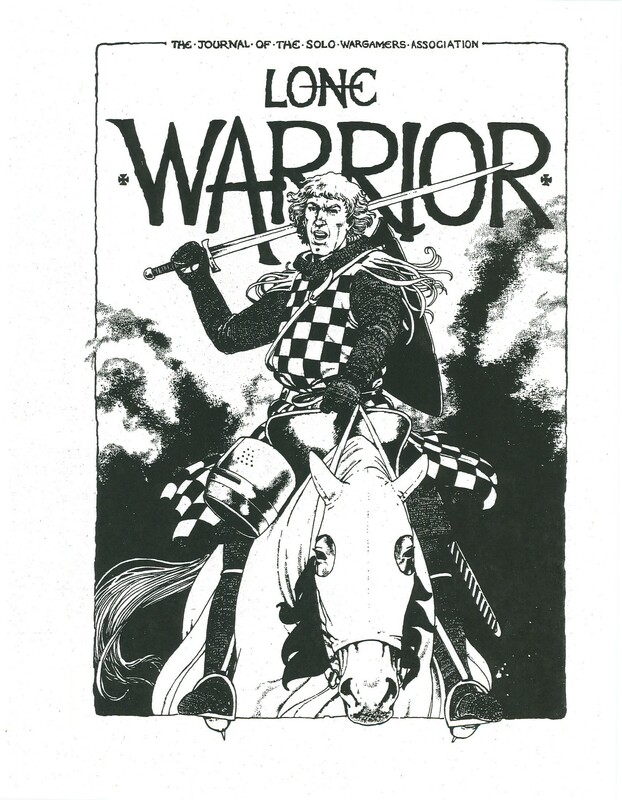 Subscribe today and start receiving Lone Warrior in PDF format now! Also, see the Back Issues and Tables of Contents page for details about how to get back issues of the magazine, either in hard-copy or PDF format. Back issues are available to both subscribers and non-subscribers.